Help PEP to secure a $190,000 challenge grant! If you’ve kept up with our blog, you have read some amazing stories of life transformation in the past few months. You have read graduate about Adam C., who shared that PEP taught him that “beauty could rise from the ashes of (a) brokenhearted young man.” You have read graduate Lance N.’s story about how PEP helped him to find his first job (and why he donates to PEP each month). Graduate David F. shared how he had never stayed out of jail for more than a year, but now has been out for more than three years thanks to PEP. Others, like Devon S. and Cristian H. , shared how God has changed their lives through PEP. And all of that was just in October! Just imagine the stories that you can make possible over the next year. The Prison Entrepreneurship Program is rapidly growing. This past August, we launched our operations in a second prison in Texas. By 2015, we might be able to serve nearly twice as many people as we did at the beginning of this year… provided that we have the funding to do so. PEP is 100% privately funded. Without donors like you, graduate Clay T. may not have paid of $44K in debt and graduate James C. may not have generated over $5MM in sales through his business. You make these stories possible. That is why we are asking for your help today. We need to raise $190,000 by December 31, 2014. These funds will ensure that we can launch into 2015 with full force, rapidly expanding our presence both inside of prison and outside of the walls. 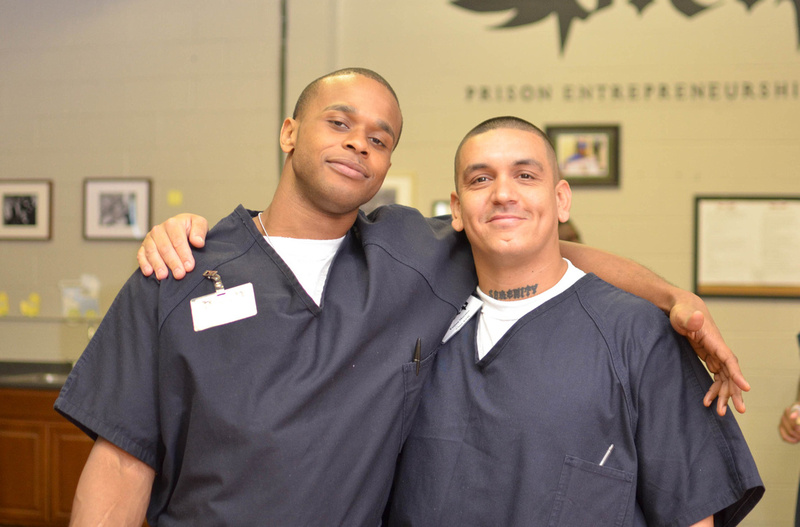 Your gift will make sure that 100% of our graduates find a job within 90 days of release from prison and that their likelihood of returning to crime drops by 80-90%. Help us Meet the Challenge! Thanks to the PEP Board of Directors, we have the potential to match every gift! One-time gifts will be matched dollar-for-dollar. That means a gift of $1,000 will instantly become $2,000! Monthly commitments will be matched TWO to one based on their annual value! That means a commitment of $100 per month will receive a $2,400 match – making a $3,600 combined impact on PEP! Where else can you make this kind of impact? You beat the $100,000 challenge! Thanks to supporters like you, we exceeded our goal of $100,000 to meet the PEP Governing Board’s challenge! Beginning May 1, 2013, we worked to raise these funds towards the launch of our 20th Class. Last Friday, “Tenacious 20” had their kickoff event … and a group of individual donors pooled their resources and put us over the top in remarkable fashion! What’s even more incredible is that a significant number of donors joined our growing list of monthly contributors. We now have nearly ninety people — many of whom are graduates of our program — making monthly donations by credit card or automatic bank transfer. We call these monthly donors “PARTNERS.” This is in recognition of their commitment to sustaining our work so that our team can focus on growing our impact. We are deeply grateful to the many people who participated in this campaign. On top of these gifts, we were also able to raise several very significant foundation grants that will allow us to strengthen our mission over the coming months. Your support of our work is making an incredible difference — thank you! Together, we are transforming prison! PEP reaches for the next level! 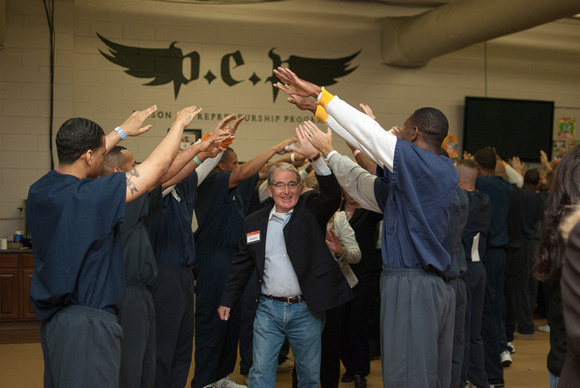 On July 19, 2013, the Prison Entrepreneurship Program will launch Class 20 with one of our largest classes to date! This class also will mark an important milestone for PEP. Our 1,000th graduate will walk across stage with Class 20 on December 13, 2013! Your support of PEP will make this possible. Donors like you provide 100% of the funds that we need to deliver our programs, and we could not operate without your gifts. We have received a challenge grant that will match every dollar that we raise up to $100,000 … but only if we can raise the funds by July 19, 2013. You can turn every dollar that you donate into twice the impact thanks to the generosity of our Governing Board, who are providing this amazing opportunity to PEP. and also see the contributions from others. Funds will ensure that these men receive all of the support that they need to earn not only a diploma from PEP, but a Certificate in Entrepreneurship from Baylor University’s Hankamer School of Business (see link here to learn more). It takes around $1,500 to sponsor a participant’s quest for their college certificate. Half of those funds are being put up by our Board of Directors — but only if you help us to raise the other half. Help us to beat this challenge by donating today! Sponsor a bear — only $15! Class 18 will graduate on December 7th — and the members of “Extraordinary 18” are very excited that hundreds of their family members will gather to watch them cross the stage in a cap-and-gown. For some, it will be their first time to ever see their children since they were incarcerated. One of our special traditions at PEP is providing our men with a teddy bear that we purchase from a national retailer at a bargain price of only $15!!! Our graduates decorate the bears for their kids, and give them to the children as an outward symbol of an inner promise to never return to prison again. Thankfully, past PEP graduates have already sponsored dozens of these bears. But are opening up this opportunity to the community this year so that each child in attendance at the graduation will receive a bear from their Father. The cost to you is only $15 — but the impact on the child is beyond value. If you would like to donate please email Info@PEP.org or go to http://pep.org/bears/. It’s official — 2012 eSchool Graduation is SOLD OUT! Thanks to the lead sponsorship from Amerisource Funding, our 2012 eSchool Graduation is officially sold out! 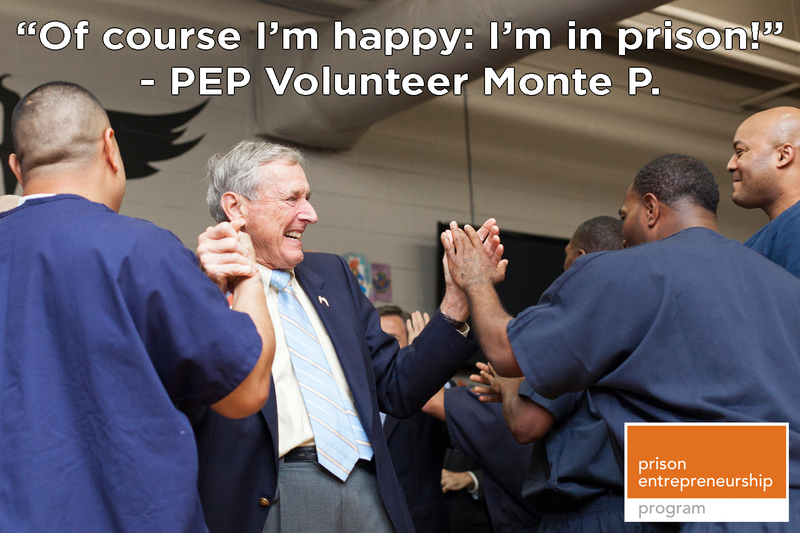 At this graduation, we will honor over 30 men who began transforming their lives while still behind bars through PEP‘s in-prison Business Plan Competition. After their release, these men reestablished their lives in the free world and dedicated themselves to continuing their education through our weekly Entrepreneurship School (eSchool) in Dallas and Houston. We are now celebrating their completion of this second step in their journey from inmate to entrepreneur. We are pleased to announce that our keynote speaker will be Ryan Mack, author of “Living in the Village” and frequent contributor to CNN, BET and others. You can learn more about Ryan Mack here.